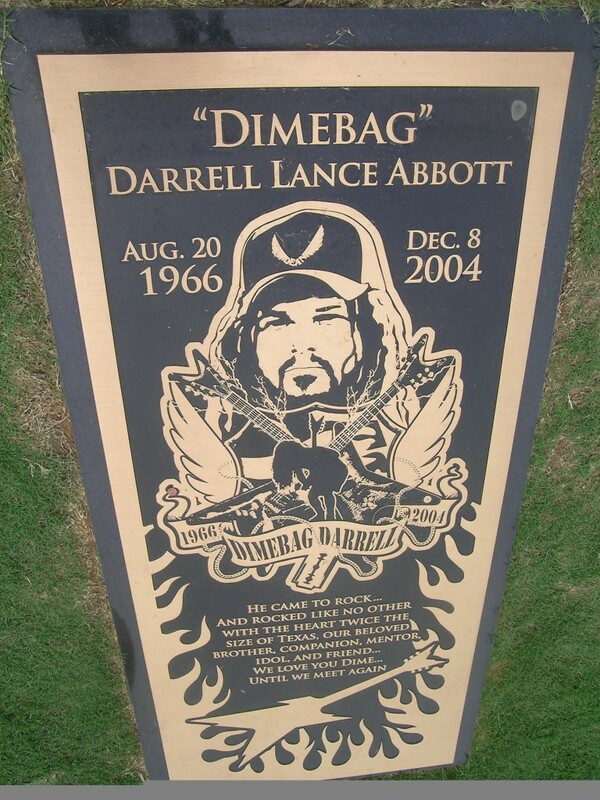 “Dimebag” Darrell Abbott was tragically shot onstage on December 8, 2004 while performing with Damageplan at the Alrosa Villa in Columbus, Ohio. 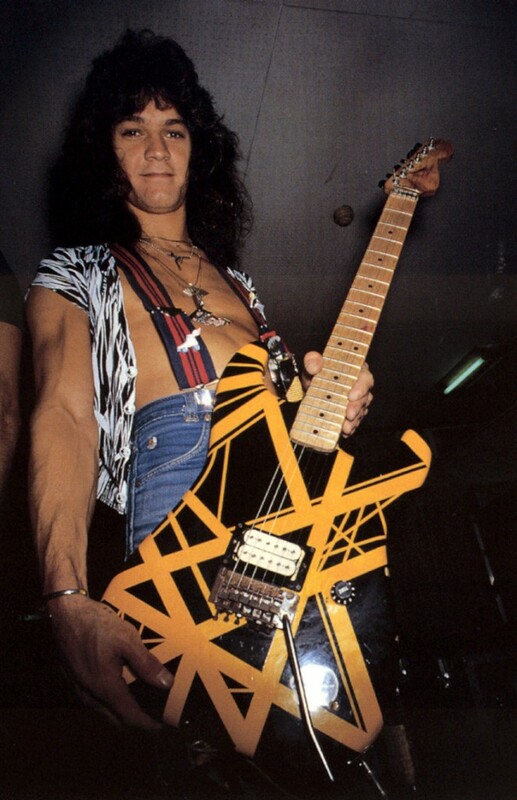 Months earlier “Dimebag” had asked one of his idols Eddie Van Halen for a black and yellow-striped Charvel electric guitar (“Bumblebee”), which was pictured on the back cover and inside sleeve of Van Halen II album. 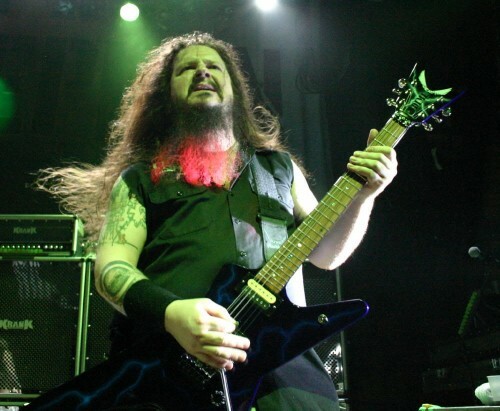 Eddie had originally agreed to make “Dimebag” Darrell a copy of the guitar but never got to it. Upon hearing of his tragic death, Eddie did a huge “solid” and placed his actual original “Bumblebee” guitar inside Dimebag’s casket. 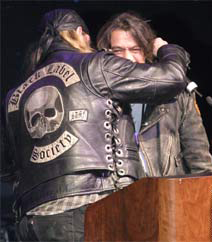 Here’s a photo of Zakk Wylde and Eddie Van Halen at “Dimebag’s” funeral and a photo of his final resting place and of course the current location of Eddie’s “Bumblebee” guitar.